Though you might not always pay attention to it, your water heater is one probably one of the aspects of your plumbing system on which you most rely. After all, how terrible would your morning showers be if you had to use cold water? And how would your washer clean your clothes if it didn’t use hot water? Because it’s such an important piece of equipment, it’s also important that it stays in good working order. 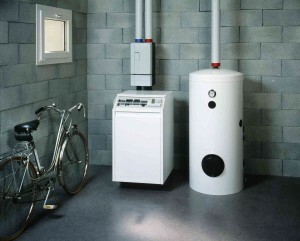 Like all aspects of your plumbing, water heaters have a lifespan and they all need to be replaced someday. Learn how to determine whether yours is on the way out in today’s blog. 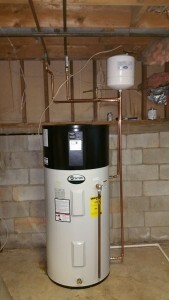 Is your water heater on the way out? If you begin to notice unexpected leaks, drips, or really any water coming from your tank then this is a serious red flag. If your hot water heater is powered by gas, then be sure to keep an eye on the flame. It should always burn blue. If it looks yellow, you’ll likely need a new model soon. If your heater is beginning to experience corrosion or rust, you may notice rusty water coming out of your faucets. While this can be a sign of many different types of plumbing problems, if you’ve noticed other warning signs with your water heater then this can definitely be an indicator that yours will soon need to be replaced. If you’re taking a shower and you have it set to your normal temperature but you notice that the water coming out is significantly hotter or colder than it should be, it’s probably your water heater’s fault. If you notice that your water heater itself is showing signs of cracking or bending, this is a sure sign that it will need to be replaced. Call your Maryland plumber immediately to discuss having a new one installed. This entry was posted on Thursday, April 7th, 2016 at 4:57 pm. Both comments and pings are currently closed.